A second sculpture for the new Hove Plinth, inspired my a mangled lobster pot, could be in place next year if enough money is raised. Brighton sculptor Pierre Diamantopoulo’s Flight of the Langoustine will cost an estimated £135,000 and fundraising is now underway. 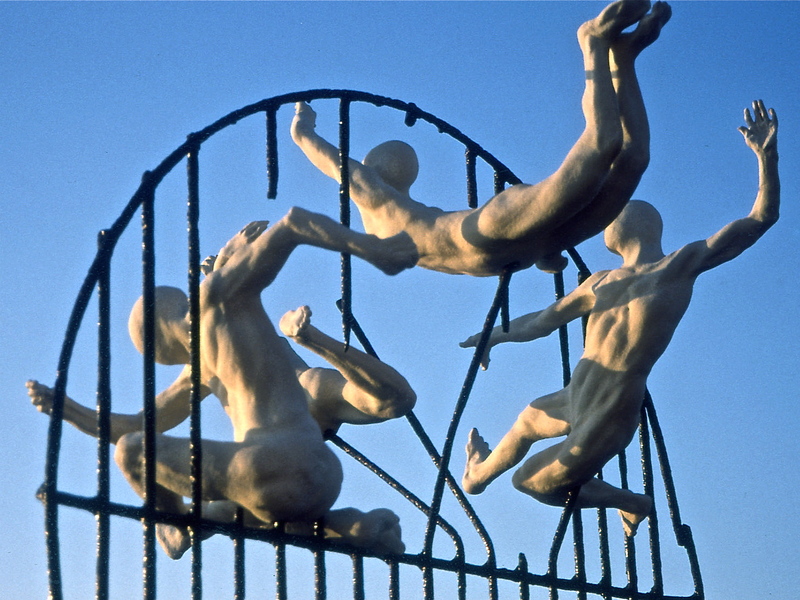 A design for the sculpture was a favourite in the public vote for sculpture proposals held in 2015. Jonathan Wright’s sculpture Constellation was the first artwork chosen, and was officially unveiled in April last year. Inspired by a discarded and mangled lobster pot found while beachcombing, Diamantopoulo first created a model of this sculpture in a studio under the King’s Road arches. In his imagination the washed-up object that seemingly helped lobsters escape became a human story of exodus and release – a dash for freedom. The sculpture is 384cm high, 300cm wide and 289cm deep and is sure to make an unforgettable impression on visitors to the seafront. Pierre Diamantopoulo says of his work: “In Flight of the Langoustine as in much of my work, a liberating energy is combined with a profound sense of unrest. “These androgynous and anonymous figures are often seen flying in defiance or fleeing, challenged by their environment – a metaphor for a precarious state of living or existence. Each of the bronze figures will cost £30,000 to produce and the overall final cost of the sculpture is £135,000. Fundraising is now starting in earnest following initial contributions from The Headley Trust, Hove Business Association, Collectors Selection Open House and The Arts Society East Sussex. The plan is for the sculpture to be installed in 2020 but final date will depend on how soon funds can be raised.The sculpture cannot be fully commissioned until all the funding is secured. Pierre Diamantopoulo uses traditional processes and techniques to create his sculpture. At a lecture in Hove last week he gave an insight into the complex process of producing a bronze sculpture on this scale. 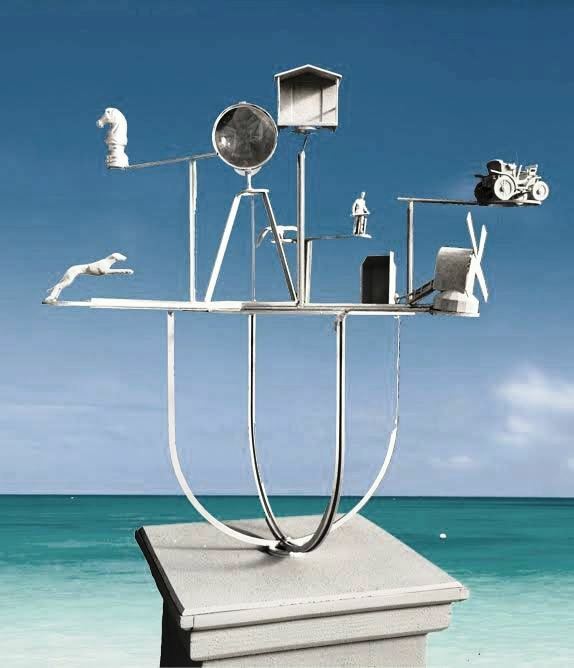 Karin Janzon, Project Director, Hove Civic Society says: “We are very excited at the prospect of seeing this sculpture mounted on Hove Plinth in the future. “We are inviting everyone to contribute to this amazing addition to the seafront and will shortly have an online donation platform ready. We also have a sponsor pack for major donors which highlights the benefits major donors can expect depending on level of support and interest.